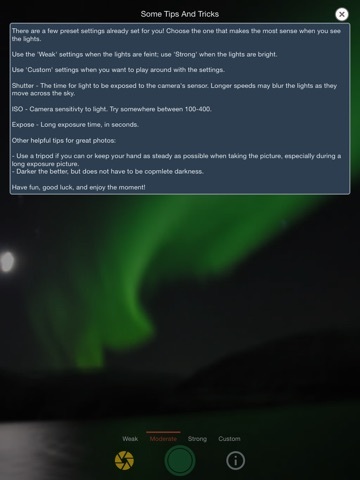 This app only does one thing and that's to help you take better photos of the aurora borealis, aka the northern lights. Here's the scenario - so you see the northern lights (!! 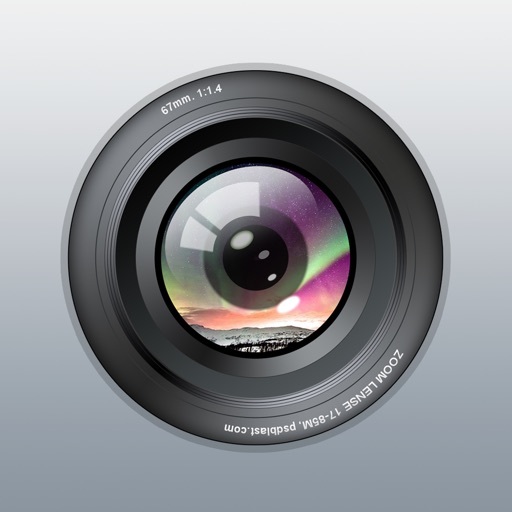 - awesome for you, by the way), but you don't have a fancy digital camera with you. Thankfully, you have your trusty iPhone or iPad! 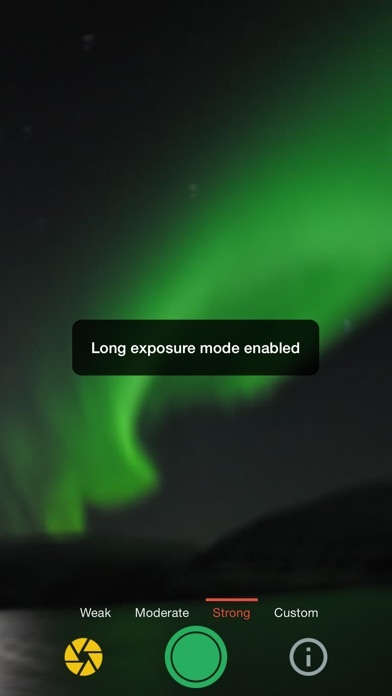 Do you know the tips and tricks to take photos of the northern lights ? Great, if you do! 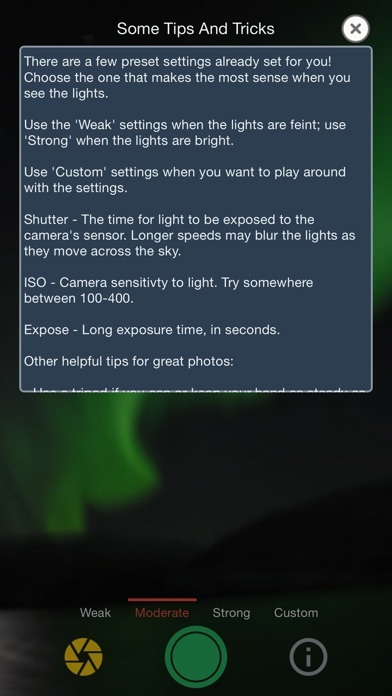 Enable manual mode; set the focus to infinity; change the temperature to a certain number; change the ISO between certain values; change the shutter speed to something else....wait what...? Don't worry, this app does all of that for you so all you have to do is find those lights. ISO, shutter speed, long exposure mode, temperature, check check check. 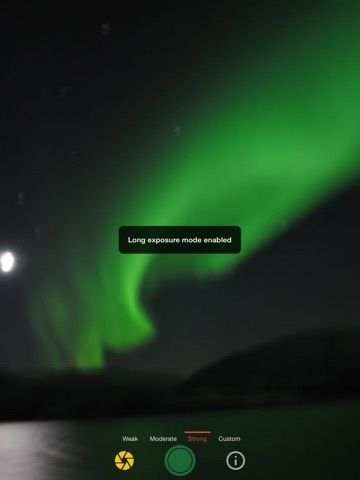 There are 3 presets that you can choose from based on the brightness of the aurora lights that you're seeing. Those don't work? Try out custom mode until you get that 'good-enough-for-me-to-show-to-my-friends' snap and take as many photos as you'd like! Hi, everyone! Simon here. I'd like to personally thank you all for supporting this app; I apologize for the new iOS12 issue that prevented people from using the app. As always, if you have any feedback or problems, please contact me personally at hello@lazilyinspired.com and I will respond to everything that is related to the app!